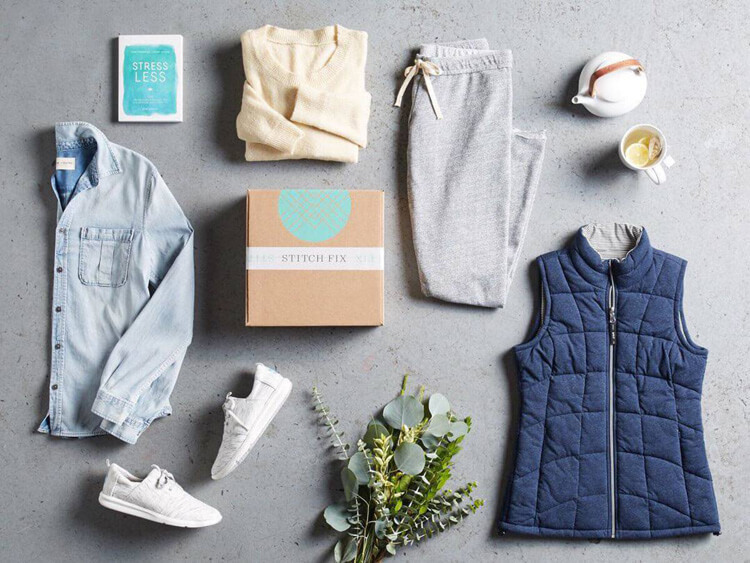 Stitch Fix is great if you’re looking to revamp your wardrobe but aren’t exactly sure where to start. All you have to do is set up a style profile. Then, based on your answers, one of Stich Fix’s personal stylists will handpick five new pieces to add to your wardrobe. When your “fix” arrives, it can contain anything from sweaters, jackets, skirts, jeans, accessories, and even shoes. After trying on all the pieces yourself, you get to decide what to keep and what to send back. You’re charged a $20 styling fee in the beginning, but it’s ultimately used as credit towards the items you want to keep. Beauty and skincare lovers rejoice! Ipsy is the subscription box for you. While Birchbox is an OG in the subscription box community, Ipsy is here to give it a run for its money. For just $10 a month, Ipsy sends out five full-sized or deluxe-sized beauty and skincare products — even from big-name brands in the industry. 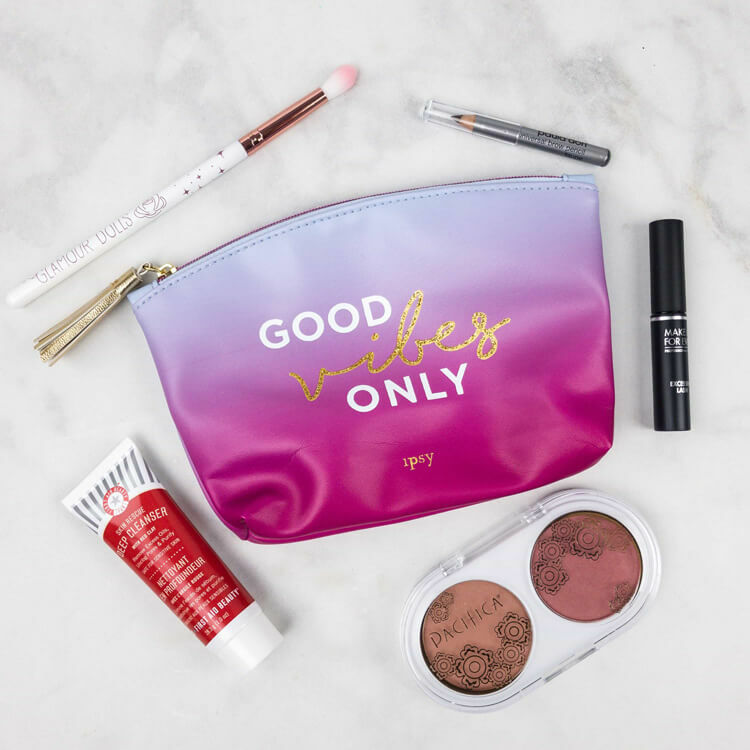 The goodies also come in a cute makeup bag, so imagine all the makeup bags you can collect if you were an avid subscriber! Most people say that Ipsy is definitely well-worth its price, compared to Birchbox, which only sends out small sample sizes. It might be time to rethink your footwear accessories. Long gone are the days of regular old white socks when you subscribe to Sockwork! 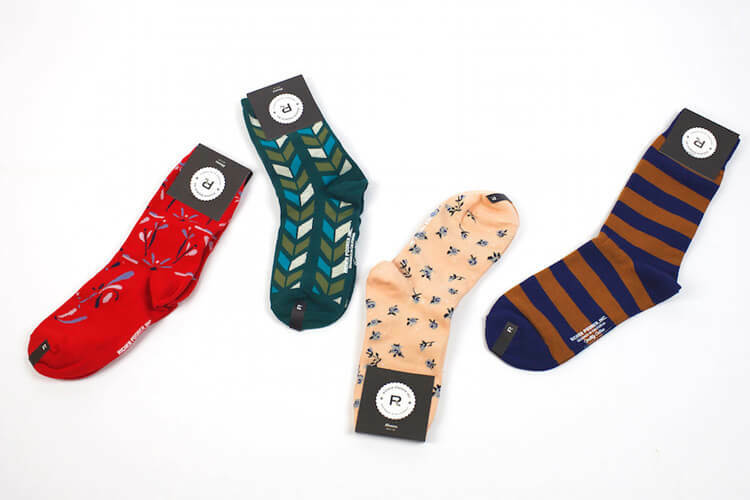 For $14 a month, Sockwork sends you the perfect mix of fun and professional-style socks curated by their “soxologists.” Touted as “Socks with a purpose,” Sockwork was founded and is owned by veterans, which is why they donate 10% of their profits to various veteran charities each month. Although not many people might actually see these new socks of yours, you can take pride in knowing that you’ll hardly wear the same pair twice in at least two or three weeks! More of a music lover? The perfect subscription for you is coming up! 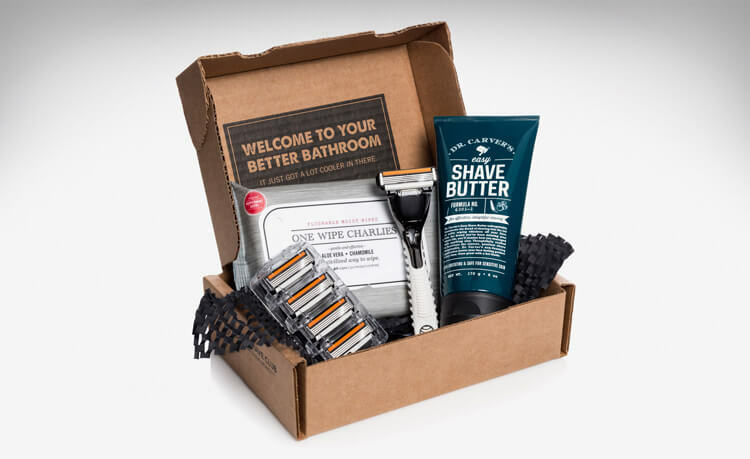 For less than $10 a month, the Dollar Shave Club will send you everything thing you need for your everyday shaving needs. After you pick a razor or custom starter set, you get monthly replacement cartridges sent straight to your door. 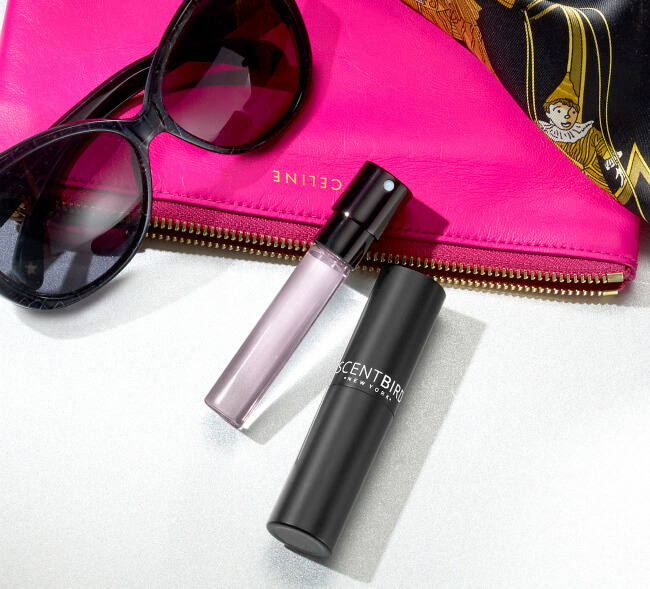 You’ll no longer have to remember to go out to Target at the last minute when you notice that stubble coming in! This doesn’t have to be exclusive to men either — ladies have been known to use the service as well since everyone knows that razors geared towards men give a better, closer shave most of the time. 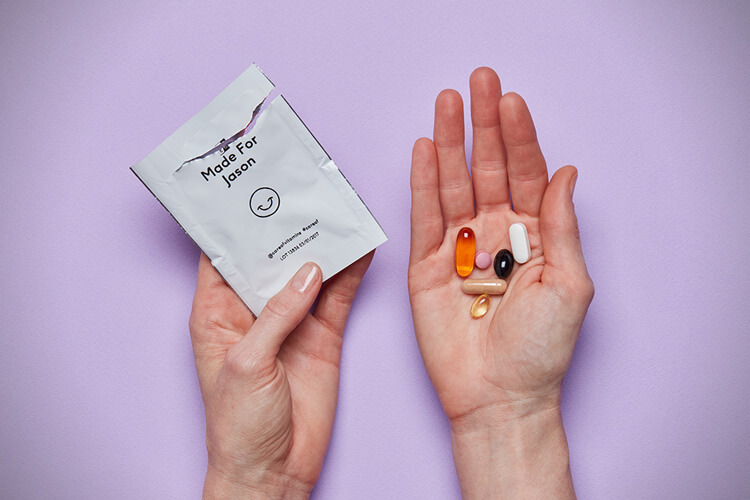 Finally, a simple and straight-forward way to take your vitamins without really having to understand all the chemical mumbo jumbo on supplement jars or just blindly taking what your doctor tells you to. Care/of vitamins asks you what your health concerns and lifestyle goals are before making recommendations about what vitamins you should take. After selecting your special blend, they package it up into a personalized supply daily packs that get sent to your front door each month. For as little as $10 a month, you’ll no longer roll your eyes everytime someone reminds you to take your vitamins. Music and nostalgia lovers, this one is for you. If you’re always searching for music that will be fresh to your ears, you might want to subscribe to VNYL. 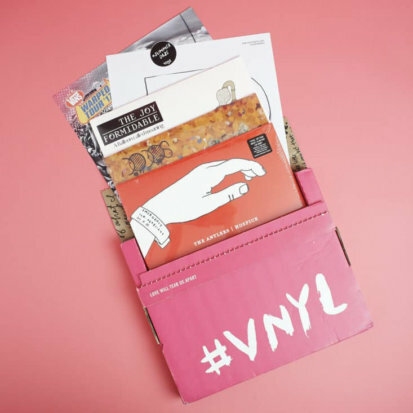 Each month, you will receive three vinyl records curated specifically to your taste by the folks over at VNYL, who look at the social music accounts that you link to your profile to get a sense of what you like. For only $39 a month, you can grow your record collection if you don’t have time to spend all day perusing your local record store. This is perfect for Spotify and Soundcloud lovers who want to take their musical experiences to a whole new level. Soon you’ll see which subscription will make your dog love you even more than they already do! If reading is more of your thing, look no further than the Cozy Reader Club. There’s nothing better than curling up with a good book and a cup of tea or coffee and Cozy Reader Club understands that. Each month, you receive a box or four to six full-size items including a recently released hardcover book, as well as artisan drinks, treats, and other handmade items that are sourced from local small businesses throughout the U.S.A. 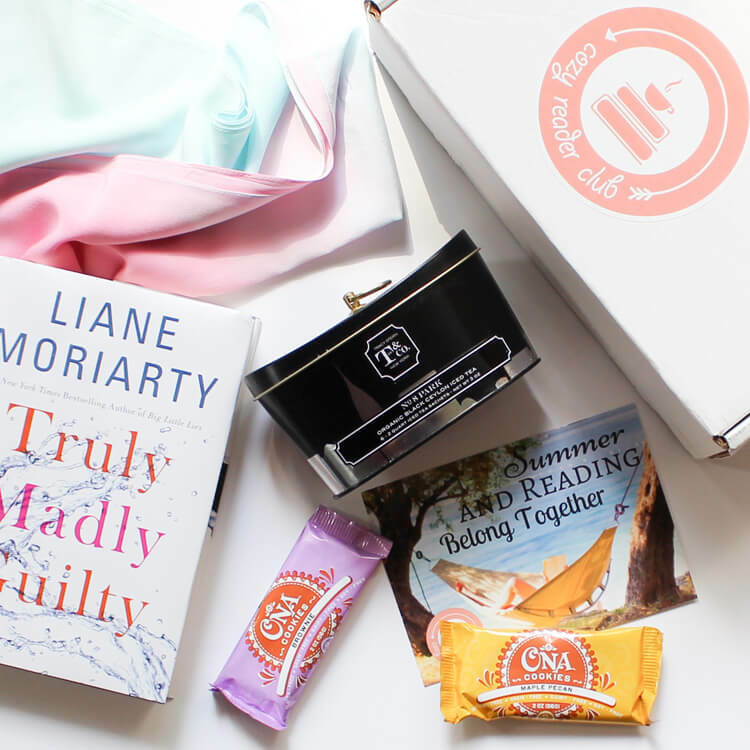 Cozy Reader Club delivers meaningful “me” time straight to your doorstep for around $65 a month, which is well worth it considering the thoughtful an conscious production of each item in the box. FabFitFun is the ultimate lifestyle subscription box for the modern, contemporary woman who loves discovering new things. A new box is delivered to your doorstep every season (every three months or so) for only $50 per box, so it’s a bit of a relief on your wallet each year. What’s even better about FabFitFun is the value they put into each season’s box, which contains over $200-worth of full-sized beauty, wellness, fashion, and fitness finds to help you discover new brands and products that help you live your best life throughout the year. You can even choose specific products or add-ons to customize each box you receive! Harry Potter fans, Disney movie lovers, Trekkies, and everyone in between might want to give Nerdy Post a try! This is the ultimate subscription box for movie, television, and book fandoms. Each month, Nerdy Post features a different theme from a fandom and sends out goodies that include prints, stickers, pins, and other memorabilia, with an option to get an accompanying tee shirt. With pricing starting at around $14 a month, Nerdy Post announces their new theme at the start of each month, giving you enough time to opt-out for that month if their selected theme isn’t quite what you’re into. 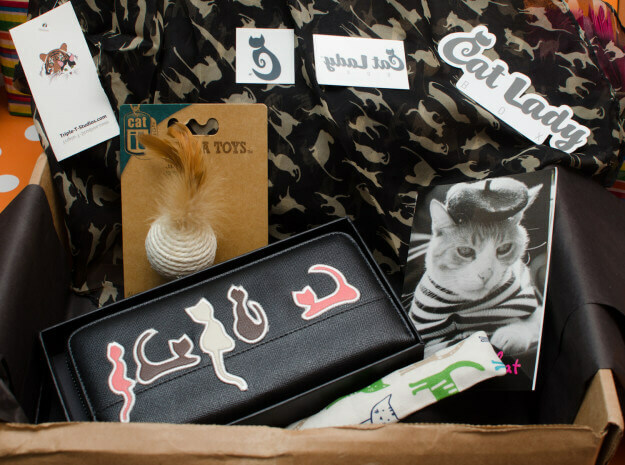 What subscription box are dog lovers signing up for? Keep reading to see! 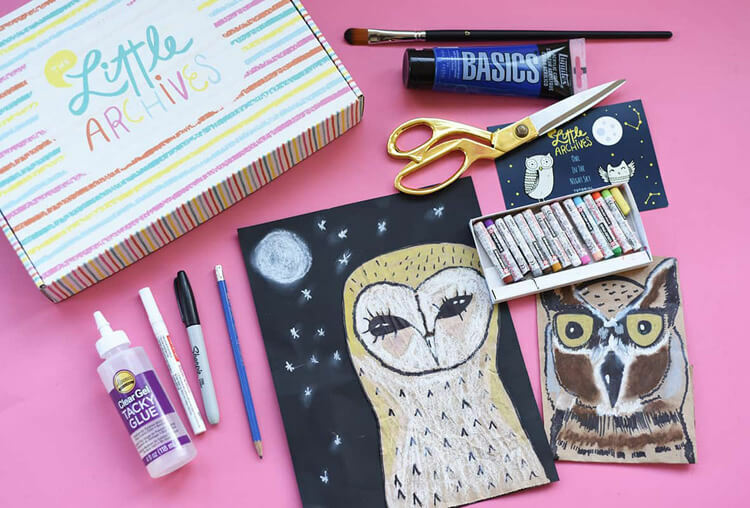 The Little Archives is the perfect subscription box for parents who want their children to get away from screens and do something creative and constructive. Founder Adrienne Jopp eliminated the hassle of taking your kids to an arts and crafts store and overspending on supplies, by creating a box that delivers everything you need right to your doorstep. Each month, you get a thoughtfully curated craft project complete with supplies and detailed instructions for you to sit down and do with your kids. For less than $25 a month, you can get $45 to $50 worth of high-quality supplies needed to get those creative juices flowing. Don’t worry dog lovers, there’s a subscription box for you too! 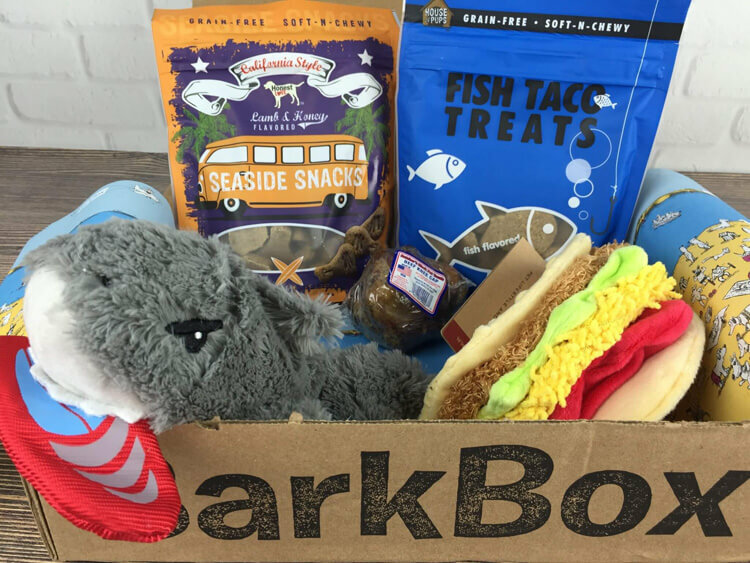 BarkBox curates a box that includes two innovative toys, two bags of all-natural treats, and a little something extra to chew on to go with a new theme each month. Starting at $20 a month, BarkBox ensures you’re getting your money’s worth with products that are valued at over $40. Your dog’s tail will probably be wagging with excitement everytime the doorbell rings — if they don’t already do that. BarkBox was created especially for dog people by even crazier dog people who just “get it” and know that you want the best for your canine companion. Coming up, you’ll see a box that will let you travel the world from your doorstep! 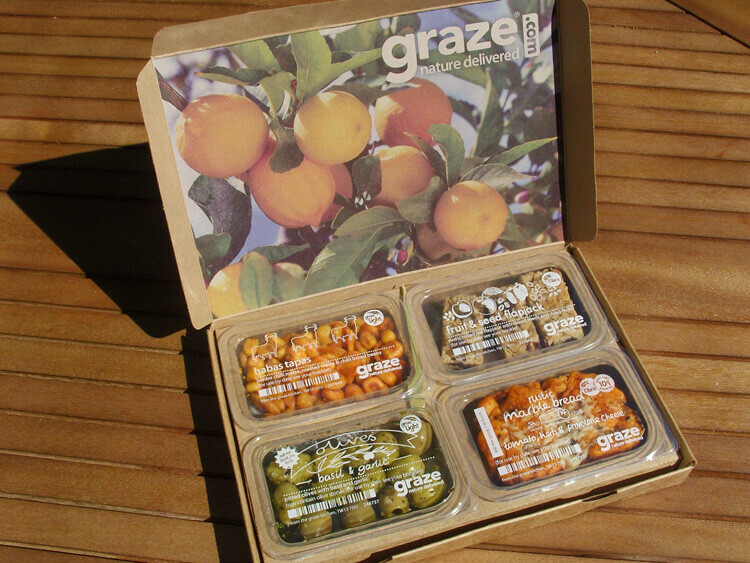 Graze is for the perpetual snacker who is always on the lookout for delicious, yet nutritious snacks to munch on. Graze promises to deliver snacks made with wholesome ingredients and nutritional benefits, without compromising taste and quality. After creating your custom snack profile, Graze curates a box of eight nutritionist-approved snacks for you to try out. With boxes starting out at around $14, you can choose to have a new box delivered to you weekly, bi-weekly, or monthly. If you’d like a little more control, you can even select your own snacks from the entire Graze range. 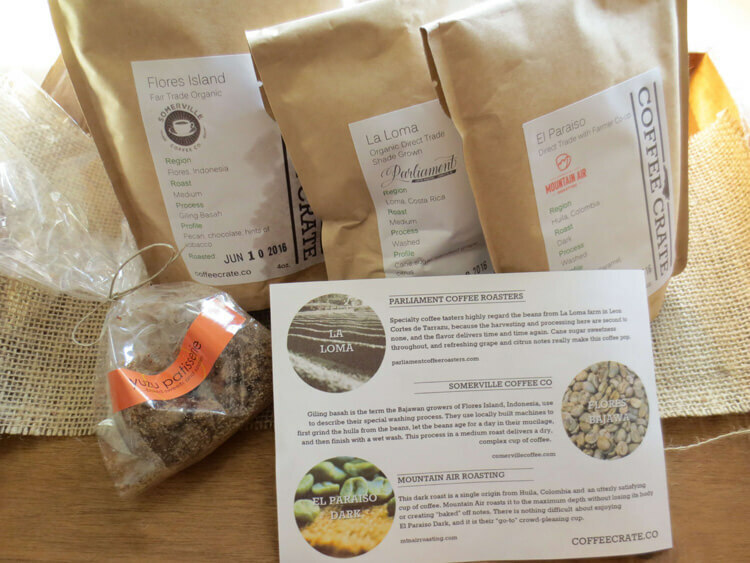 Coffee Crate delivers three bags of locally-sourced whole bean coffee straight to your front door, saving you time and money by eliminating the need to go out to your local coffee shop every morning. The carefully curated roasts come from North Carolina roasters who source their beans from all over the world and hold a deep connection to the bean’s origins, by upholding ethical standards of sustainability and labor. Starting at $20 a month, your three bags of coffee come with detailed descriptions in addition to a treat from a local business and other swag. These beans come from all over the world, as do many of the items included in the box that is coming up! 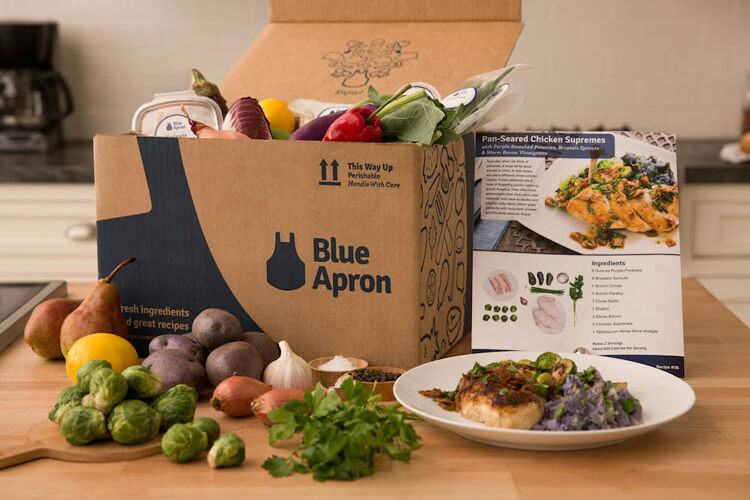 If you’ve ever wanted to create a delicious home-cooked meal, but haven’t the slightest clue where to start, then you might want to consider a subscription to Blue Apron. Perfectly portioned, fresh ingredients and easy-to-follow recipes are delivered to your door weekly for as little as $60 a month, so you can make dinner for two (or four, depending on your plan). What’s great about Blue Apron is that they eliminate the middleman by directly partnering with farmers to deliver high-quality, sustainable ingredients that are free of antibiotics, hormones, and GMOs. You can rest assured knowing exactly what you’re feeding your family. 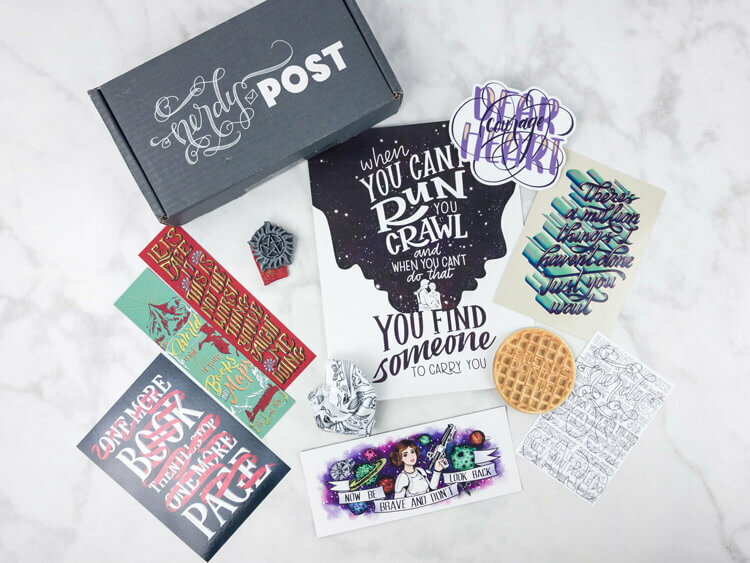 Escape the Crate is the perfect subscription box for anyone who loves adventures and solving puzzles or cracking codes. Each crate features a new “mission” that takes players back in time to fix issues that have arisen due to time travel. 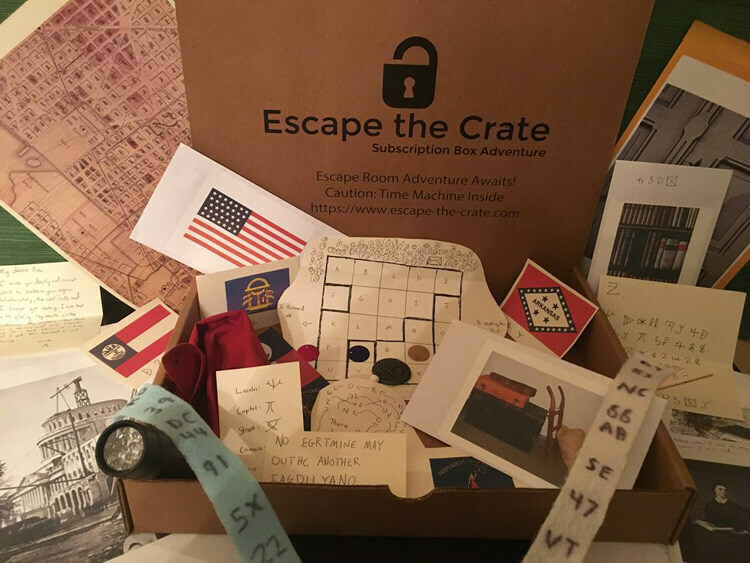 Starting at $30 every two months, you receive your mission complete with puzzles, ciphers, maps, and tools that will help you solve whatever creative adventure the folks at Escape the Crate have conjured up! This is meant to be played with a group of people, so it’s perfect for your next game night or party! Do you have a taste for wanderlust, but don’t exactly have the time (or money) to travel the world? 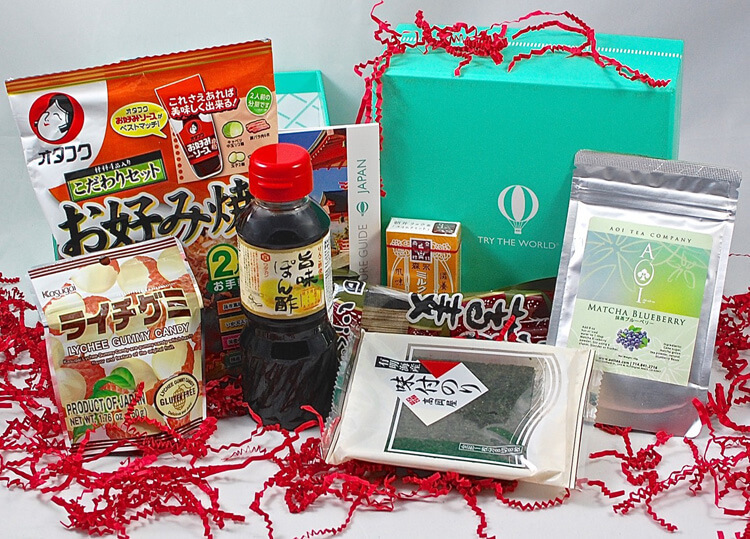 Look no further than Try The World, a subscription box that delivers tastes from around the globe right to your doorstep. Try The World offers three types of subscriptions starting at $29 a month. The Snacks option will get you five healthy international snacks, while the Pantry option does the same for your pantry based on your Taste Profile. But the best option is probably Countries. With that subscription, you get a box filled with various items curated by an expert chef who selects products that best represent whatever country is featured for that month. Fashionistas whose favorite accessory is their beloved purse would absolutely love a subscription to Ivory Clasp! This service delivers on-trend, quality handbags to your front door for $49 a month (or quarterly). While they don’t offer high-end designer bags that most people would be familiar with, they emphasize that they will never send you a knock-off or “fake” handbag. Ivory Clasp works with well-known brands and up-and-coming designers so that you will always have something that is in season. These brands use Ivory Clasp to test their styles among consumers, which is why Ivory Clasp offers you the handbags at their exclusive price.